Bought and sitting proudly in the back window of my car. 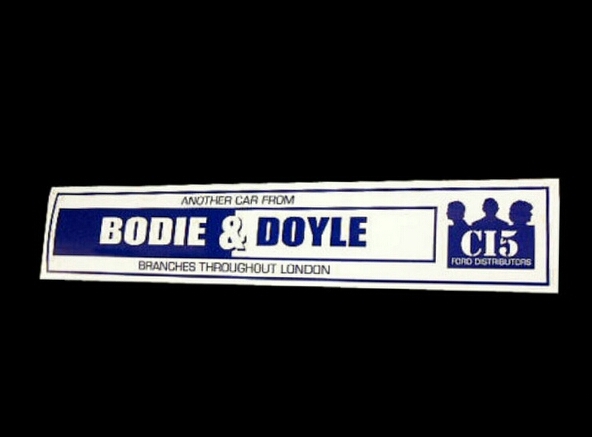 - BODIE 3.7 . you'll never walk alone ! Bought and sitting proudly in the back window of my car. So very cool, and it's awesome that you have the right kind of car to go with it. I have a black and white CI5 sticker on the back of my cell phone with the three silhouetes. It's fun because if you're in the fandom, you know it, and if not, no one over here has a clue what it is.